So there’s this fella with a parrot. 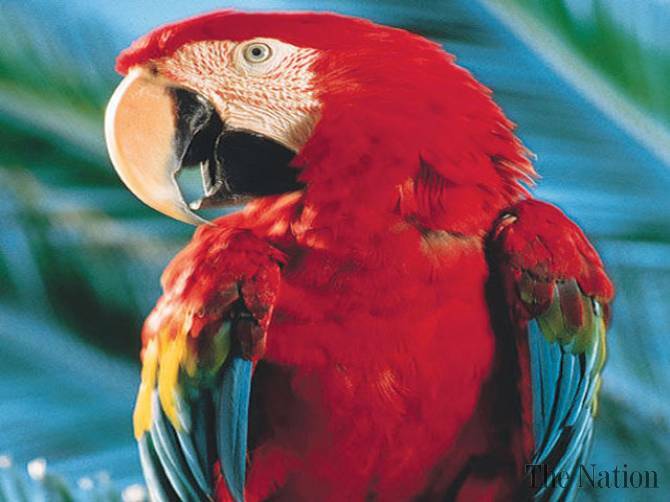 Unfortunately, this parrot swears like a sailor, I mean this bird is a pistol. He can swear for five minutes straight without repeating himself. The trouble is, the guy who owns him is a quiet, conservative type, and this bird’s foul mouth is driving him crazy. One day, it gets to be too much, so the guy grabs the bird by the throat, shakes him really hard, and yells, “QUIT IT!” This just makes the bird mad and he swears more than ever. Then the guy gets mad and says, “That’s it,” and locks the bird in a kitchen cabinet. This really aggravates the bird and he claws and scratches, so when the guy finally lets him out, the bird cuts loose with a stream of invective that would make a veteran sailor blush. For the first few seconds there is a terrible din. The bird kicks and claws and thrashes. Then it suddenly gets very quiet. At first, the guy just waits, but then he starts to think that the bird may be hurt. After a couple of minutes of silence, he’s so worried that he opens up the freezer door to check on the bird. The man is astounded. He can’t understand the transformation that has come over the parrot.